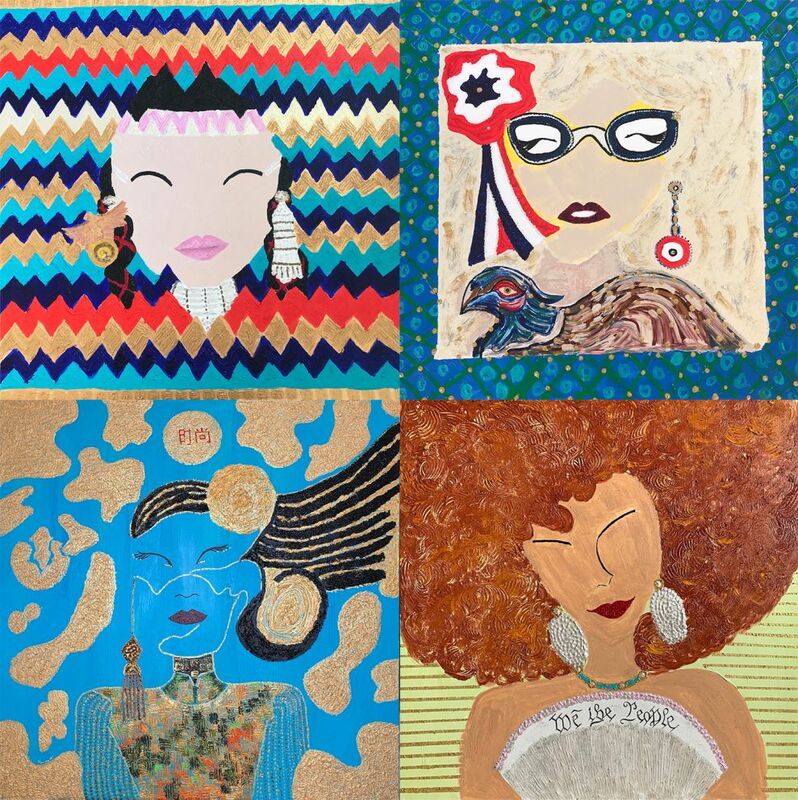 To celebrate its debut as a new destination for art and community in the Upper West Side, Arthouse Hotel welcomes its inaugural art exhibit NewYorkHer, a multimedia and augmented reality art project created by French contemporary artist, Louisa Lama-Aknin. Ten portraits of Louisa L.’s subjects, the “NewYorkHers” (a subtle pun on “New Yorkers”) are now on display in the Arthouse Hotel salon until March 31st. With a female presence consistently in Louisa L.’s body of abstract work, NewYorkHer celebrates the stories of ten individual immigrant women who call New York City home. Each of her subjects is painted in Louisa’s signature abstract style, but behind each portrait is an augmented reality experience. Viewers can scan the painting with the free Artivive app, unlocking each extraordinary woman’s story inside the canvas with a video. The exhibition artfully communicates the impact these women have in their neighborhoods, their communities, and the city at large.